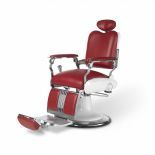 A stunning design depicting all the romantic traditions of a classic barber's chair with elements which date back to the 1800s. 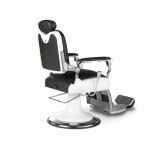 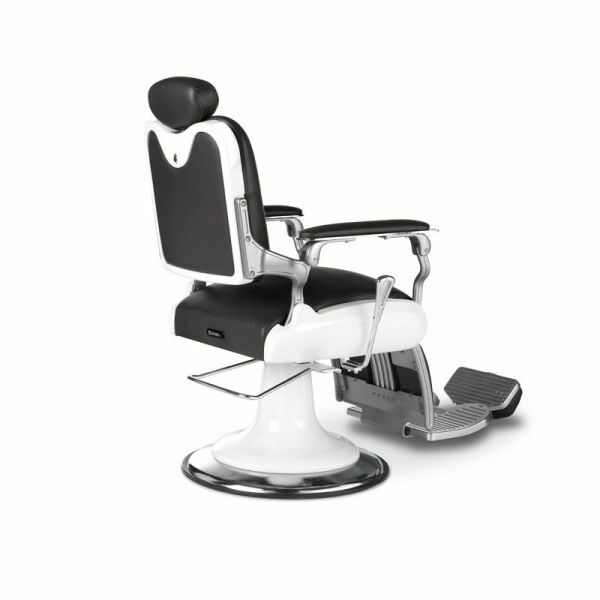 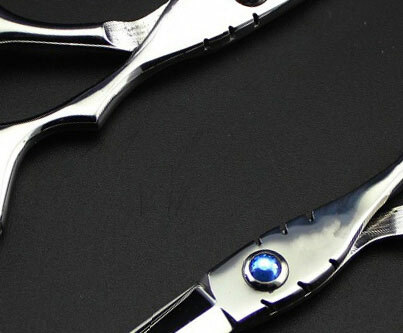 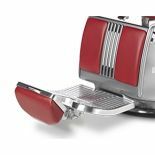 For fun, art and function, the Legacy 95 is a modern dream reconceived for superior barbershops and a valid candidate for any fashion-concious barbershop interior concept. 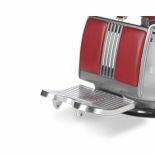 Traditionally decorative with ornate chrome moldings from top to bottom, the 'Takara' branded footrest and white-chrome combination base are only the best of them. Solid, versatile, beautiful and dressed in durable upholstery front and back, from headrest to footrest - the Legacy 95 is today's sharpest example of barbershop nostalgia. 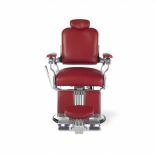 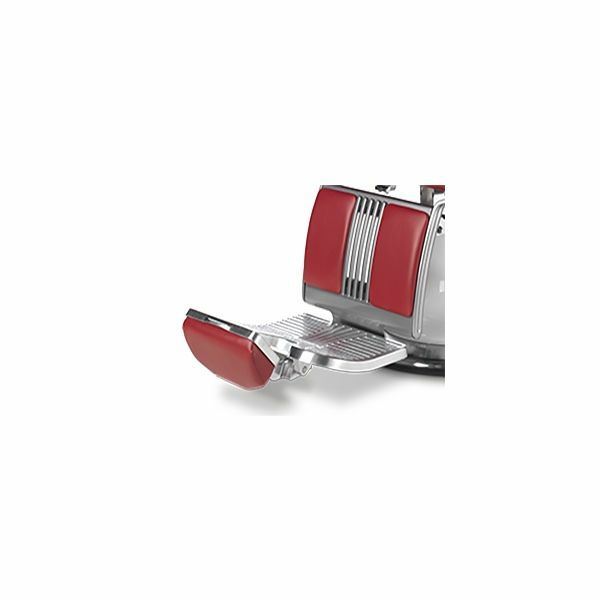 Features Include: 360o (lockable) rotation, reclining backrest, spring-loaded seat cushion, adjustable, integrated and removable headrest, lumber support, upholstered padded armrests. 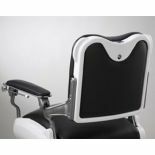 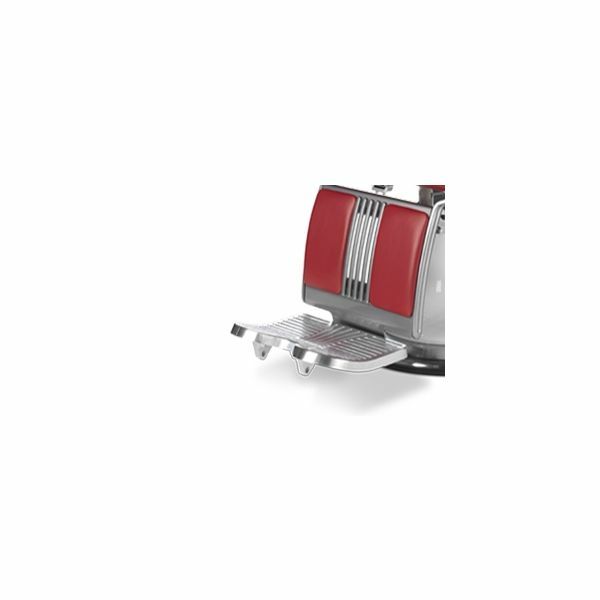 Recline lever, integrated gown rods and holders for the headrest, towels and driers. 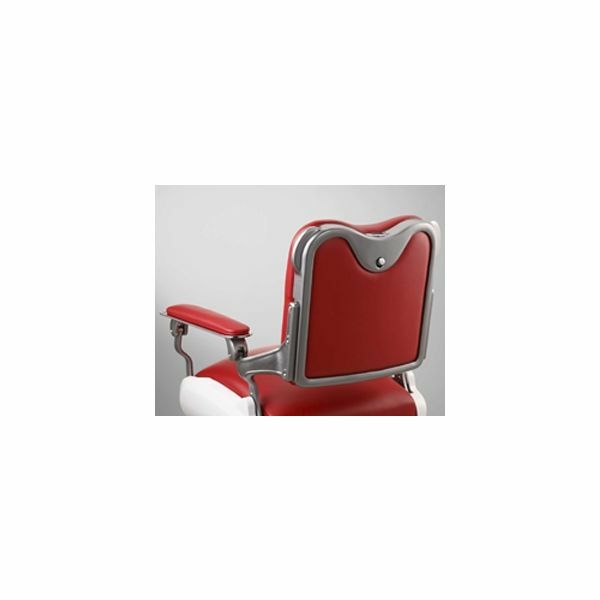 Powder-coated backrest surround and Takara branded footrest with stopper. 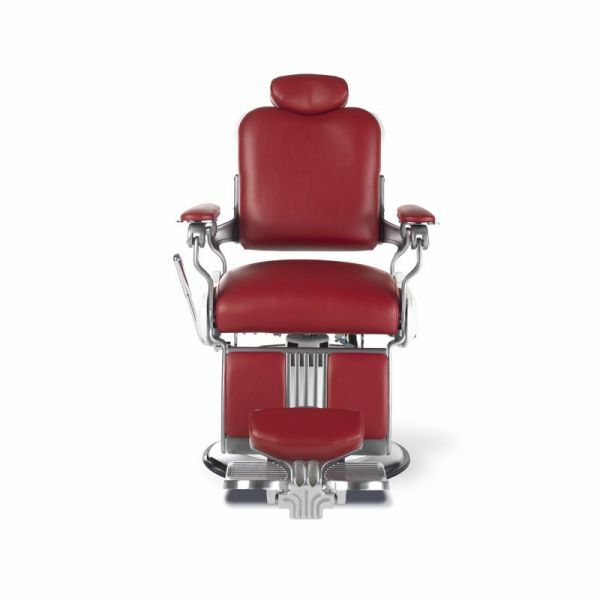 Takara Belmont's experienced upholsterers have carefully selected specific vinyls for each item according to the style of the chair and durability demands. 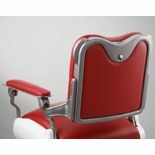 Items are upholstered and finshed in Japan and /or the UK and as such, delivery times are varied.